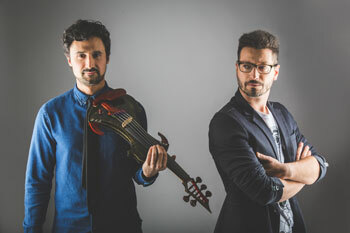 May 2018 saw the release of the new album, “And The Stars Above”, by Italian progressive rock band, Armonite, featuring violinist Jacopo Bigi and keyboardist Paolo Fosso. The album also includes a guest appearance by Porcupine Tree’s bassist, Colin Edwin. 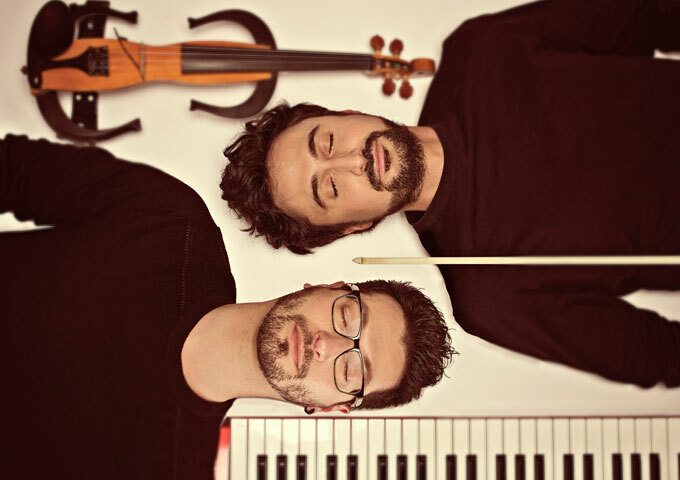 Composer Fosso and violinist Bigi are classical musicians who through their teenage years, joined local bands, playing a variety of genres and artists, from the Beatles to Dream Theater. At the end of the ’90s, while still in college, they would play in a band called Armonite. They released an album in 1999, performed a few dates live, and then split up. In 2015, they formed a new band while borrowing the name of their old one. Hence the revival of Armonite. There are artists who choose to make music because it’s their calling. It comes from their core and they have the burning desire to create something that will ignite your imagination and make your dreams of complex, vibrant sonic landscapes become almost tangible, easily accessible realities. Armonite explore their artistry in progressive electronic and organic sound design textures. 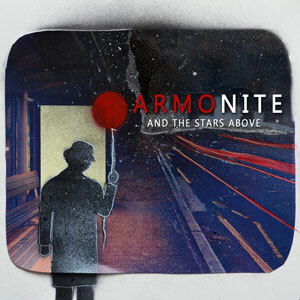 “And The Stars Above” sees Armonite pushing musical boundaries and taking the listener on a mystical and reflective journey. The opening song “The March Of The Stars”, after an airy choral start, develops into a hypnotic rhythm and builds up with intense drums and dramatically dynamic instrumentation, it’s an emotional introduction and promises much to come on this album. “Next Ride” experiments with rolling basslines, pumping percussion and over-driven electric violin riffs with Jacopo Bigi’s melodies weaving its way through the arrangement. “District Red” brings the strings entirely to the fore in a dashing orchestration which is as luscious as it is vigorously compelling. “Plaza De España” brings moment of respite, all wrapped up in the organic splendor of rich and resonating pianos, crunchy distorted strings and playful percussion. “Clouds Collide” focuses on the angelic and airy female vocals that dominates the melody complemented by sophisticated instrumentation. “Blue Curaçao” gets back to the gritty progressive grind, with a heavier rock sound, where once again the strings and bass lines shine brightly, turning it into a complex psychedelic haze and fusion-like composition. By the time Armonite hit on “By Heart”, it is clear that they are in overdrive. The rhythms and musicality flows simply and majestically throughout each composition. The music composed by Paolo Fosso is spellbinding, and at times even deeply moving, just like you would expect from any enthralling progressive rock band, except that the parts normally played by a virtuoso guitar player, is occupied by the masterful nuances of Jacopo Bigi’s electric violin. Right up alongside Bigi, are bassists Colin Edwin and Alberto Fiorani, along with drummers, Corrado Bertonazzi, Emiliano Cava, and Jasper Barendregt. Together this ensemble is simply sublime, moving from complex and jarring progressive rock rhythms, through to epic cinematic-like soundscapes, without losing a note or beat along the way. An enchanting melody, and uncharacteristic instrumentation, on “Freaks”, continue to capture the essence of what makes this work so distinguishing. “By The Waters Of Babylon” exactly encapsulates the cinematic element previously discussed, as this second part of the album regularly combines Paolo Fosso’s sprawling piano sounds with the mood-inducing strings. “The Usual Drink” takes this combination to its highest level of poignancy, before Armonite switch the tempo and intensity on “What’s The Rush?” – Another showcase for the project’s arranging and performance skills. 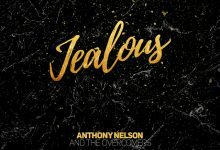 Essentially, the closing track, “Ghosts”, is decorated with varying violin interludes, dynamic percussion, and welcoming interlocking bass passages, resulting in a sort of captivating introspection. The album however does not finish there, as Armonite include two bonus tracks – “A Playful Day (For String Quartet)” and “The Fire Dancer (For Piano Solo)”. Consequently, they expand the meaning and scope of the album while also providing a cumulative overview of violinist Jacopo Bigi and keyboardist Paolo Fosso’s performing talents. No matter how you view it, “And The Stars Above” is an essential emotional journey and a testament to the magic of uncompromising artistic vision. This is a record that LA-based indie label Cleopatra Records, will be proud of distributing.